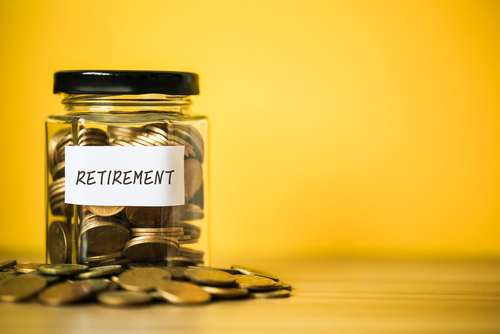 If you have been diligently saving for your golden years, this could be a good time to check in with your financial advisor. Experts are still dissecting the 2018 tax reforms to determine their effect on taxpayers. From the increase in standard deductions to the loss of certain itemized expenses, this year’s tax obligations are going to be vastly different from 2017. Do not take your financial status for granted. Your tax bracket may have changed. Review your wages and retirement plans to understand how your taxes are changing and avoid any big surprises on April 15, 2019. Won’t I Stay in the Same Tax Bracket if Nothing Has Changed? Not necessarily. If you have always itemized, some of your standard credits may have been eliminated. You can no longer deduct investment management fees, tax preparation or some home office expenses. Many filers will not be able to itemize because they cannot reach the threshold of 2% of their adjusted gross income. How Much Has the Standard Deduction Increased? The 2018 Tax Cuts and Jobs Act (TCJA) almost doubled the standard deduction for single individuals to $12,000 and $24,000 for married couples. There is also an additional credit for persons 65 years or older and who are legally blind/disabled. A single taxpayer has an extra $1,600 added to the standard deduction while a married couple has $1,300. Itemizing may not be worth the effort. Can I Still Deduct State and Local Taxes on My Vacation Home? There is now a cap on the deduction of state and local taxes (SALT). If you own two homes, the SALT deductions for both residences are bundled together. The maximum allowance (on both) is $10,000. In some high tax states, this has become a concern. Again, you may find itemizing is not your best option. Consider completing your tax returns both ways (itemized and non-itemized) to see what works or consult a tax attorney. Have Yearly Contributions to 401Ks Changed? They remain the same for those under the age of 50, who can contribute up to $18,500 annually. Older contributors can engage in what is called catch-up contributions. The limit on catch-up contributions for 2018 is $6,000. It is an inherited IRA account. It allows heirs to avoid large tax penalties by keeping the fund active and spread payouts over many years. The TCJA is keeping this practice alive but is putting restrictions on them. Fund managers must properly re-title the account after the original owner’s death and set up taxable distributions. If you have set up beneficiaries on your retirement accounts, you may want to make them aware of these tax obligations upon their inheriting.